The spice industry--as well as many misguided cooks, chefs and food bloggers--will tell you that if you have any spices in your cupboard that are more than six months old, you should throw them out. Pure hogwash. This is just another example of how the food industry tries to get you to spend unnecessarily. Worse, it makes cooking at home more expensive than it needs to be. However, by now every savvy Casual Kitchen reader should have a sixth sense that starts to tingle whenever companies "recommend" doing something that is both in their interest and costs us more money. Most likely it's not in our interest to obey. That's why you should verify--with a high standard of proof--claims like "throw out your spices after six months." For example, have you ever done a side-by-side recipe taste test of a spice you bought a year ago compared to a brand new jar of that spice? If you did so, would there be a perceptible change in the context of your typical use? Can you actually perceive this alleged "spice fade" in a recipe? I'd bet against it. Very, very few of us have palates that are that finely tuned, and those of us who think we do still probably don't. But even if you actually can tell the difference, I have good news: You still shouldn't throw out your spices. Instead, keep reading. I've got a solution for you. 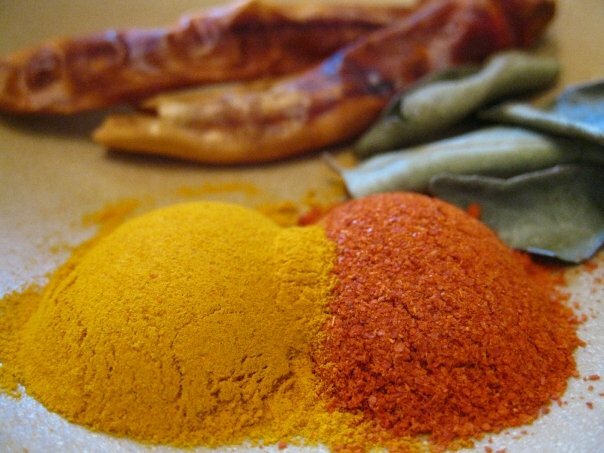 Here's another way to think about spices--think of them as radioactive isotopes, with a half life. (Seriously--stay with me here). Spices will fade slightly with time. Remember, I'm not arguing that, I just saying that the degree of fade is tiny and barely perceptible. So let's take a hypothetical example of say, cinnamon, and let's pretend cinnamon has a half life of three years (hmmm, kind of like Rhodium 101). What does "a half life of three years" mean? It means that in three years or so, your cinnamon should lose about half of its flavor and smell. After six years, it should lose another half, which means your cinnamon would be roughly one-fourth as strong. Using this framework, then, what's going to happen in six months--when that all-important spice industry drop-dead date passes? Well, in six months, your cinnamon is going to be, oh, about 8% less flavorful. Whoa. Better throw that puppy right out, right? Again, these numbers are totally hypothetical and made up--although if you think about it, it's probably not unreasonable to think that three-year-old cinnamon might be half as flavorful as newish cinnamon. But just keep in mind that this is just an example to illustrate a point. So, getting back to those unlucky souls who think they can detect an 8% decline in spice efficacy, here's your solution: use 8% more of that spice. If your spice has a smell/taste factor that is 92% of what it was, then to bring it back to 100%, all you have to do is add another 8% more. (It's actually 8.7%, but nobody likes a math geek). The point: if you detect a modest fade in the spices you use, you can always just use slightly more to compensate. Either way, even if you actually can tell whether a spice has a experienced any meaningful decline in flavor, you still should not automatically throw out your old spices. Don't throw them out after six months. Don't throw them out after a year. Verify for yourself when your spices are truly past their prime. And even then, you can still embrace the solutions in this post to save yourself quite a bit of extra money. Don't mindlessly take some expert's word for something--especially when those "experts" may have an agenda to get you to needlessly buy more of what they're selling. Some of the spices in my cabinet are over 5 years old... and they're fine! Lately I've been buying bulk spices and freezing half. Great post! Even without hard data on the true life of each spice, your examples work well. It's always good to have a precision metric scale to get that 8.7% increase when you need it! Seriously, though, I rarely measure spices, so it is highly unlikely I'd ever notice a difference in flavor that I don't attribute to human-error. THANK YOU for saying this out loud! I can't believe that people would throw out perfectly good spices, which are ridiculously expensive to replace, when they taste just as good. I read somewhere (and I know how suspicious that opening always makes the info following it, so I apologize) that most spices are really only harvested annually anyway (which makes sense from a botanical/agricultural perspective). So that if you're throwing your spices away and buying a new bottle there's a chance your new bottle is from the same batch of the stuff you threw away! The only time I recycle a spice bottle is when it's empty. Back before I learned to cook, I had four spices in the kitchen: cinnamon, black pepper, cayenne, and chili powder. How things have changed! I have at least two dozen now. The only perceptible "fade" that I have ever noticed was not in what I consider spices, but in herbs. It seems to me that those leaf-based seasonings do oxidize a bit, but honestly we are talking about years here. I do, generally, use considerably more spices than recipes suggest. There are some applications where you want to use them to bring out the flavor of your food, and there are others where you want them to BE the flavor. I actually never throw my spices out...there are some that I use more frequently than others because the just go quickly and the rest, well...I probably only bought them for ONE recipe and so I'm certainly not going to toss them and then just have to rebuy them on the rare occasion that I need them again! I buy most of my spices whole - and have honestly found many still perky and tasty at the 5 YEAR mark. Grinding at need means I have a much longer shelflife -and giving them a few moments of toasting will help revive even those that, on initial tasting, seem to have lost their spark! But herbs? Those I will confess to tossing more frequently. At the 1 year mark, I've found basil and oregano tend to have all the oomph of pencil shavings. I absolutely agree! I have finally organized my spices in two magnetic racks plus 20 or so less-used ones residing in a cupboard, and cannot imagine tossing them out after six months. I grow herbs on my patio, as I have learned, like Jenna, that they do not hold their taste as well. There's another tip that might help: I have a Fijian friend who won't buy her curry spices here in Australia - she says they taste stale to her. i'm not so sure, but when she's generous enough to share her secret spice mixes with me, i keep them in the fridge too. Agreed, agreed! The whole point of my pantry is to be a ready source of good, affordable food - the six-month myth runs counter to that. Seems like so many people buy into this and other food myths that they don't realize are not in their best interest, nutritionally, financially, & otherwise. I throw packets out when they start sprouting insects and worms. I'm getting used to keeping rarely-used spices/mixes/powders in the fridge. Some get 'moist' and I peck at them with a spoon to see if they loosen up, if they do, I retain them. Sometimes, though, if I don't like the looks, I throw it out without much thought. I have had some herbs lose potency after a while, but haven't noticed it with spices. Throwing them away like that is terribly wasteful! I always figured I'd just add some more of whatever spice I'm using to my recipe if it seems the flavor has faded, but so far I've never had to do it. I mix my own spice blends and have over 80 elements(as I call them). I have not noticed a difference between something that I mixed a week ago from a batch I mixed 3 months ago. I've heard the same drivel and I love the local spice shop I use but I don't buy that line from them either. The only thing I do love about them though is that I can buy spices in smaller portions. OK, maybe I'm paying a bit more for something but if it's just for one dish, it's nice to not have to buy an entire bottle until I'm sure I'll use it again. Love this post and totally agree!